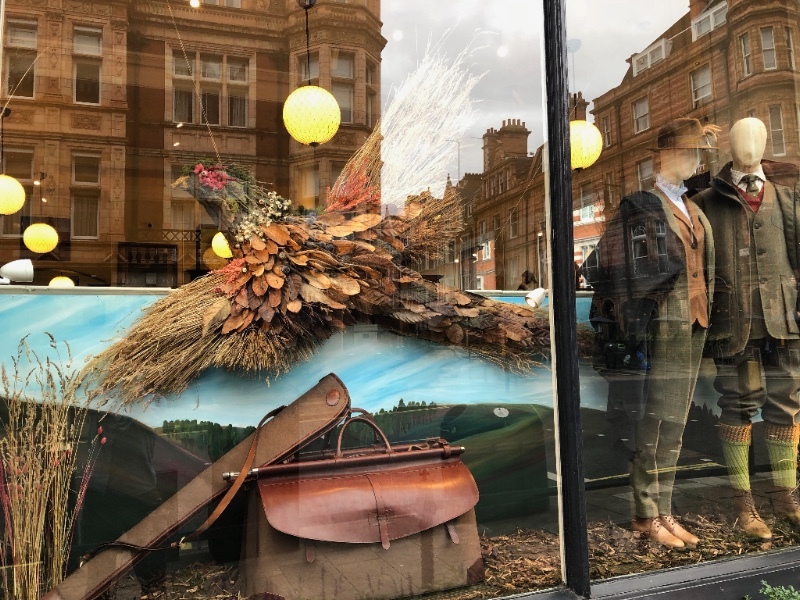 This month we created a new Spring window display for Purdey’s of Mayfair, using scenic painted backdrops, surface treatments, giant rock props, faux plants and pots, visual merchandising and lots more. Our studio turned into a Christmas elf workshop this year as we prepared for some of the Christmas window roll outs, here is the Swedish style sleigh we made for James Purdey and Sons. We laser cut bespoke snowflakes and added some glitter for ultimate sparkle! making a giant chocolate bar complete with gold wrapper, its massive! Wow! Check it out :) Looks brilliant!! 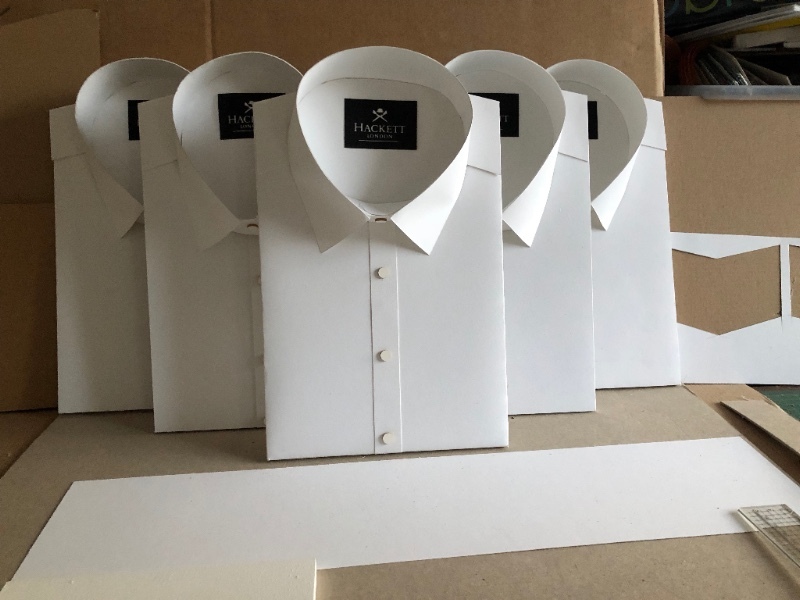 Hackett approached us requesting some hand crafted paper shirts for a window display in their Madrid store in Spain. Nice precision job using paper from GF Smith! 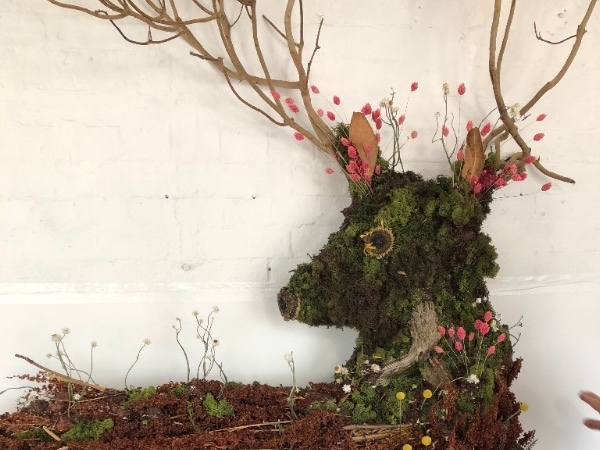 James Purdey & Sons asked us to fabricate three sculptures made from natural woodland materials to celebrate the opening of their season. For their six window shop we created a stag, pheasant and grouse. One of the best jobs this year, using eco friendly materials! Artist Philip Colbert asked us to come up with a design to showcase his neo pop fashion pieces at Spitalifields market, in collaboration with Discovery Channel Shark week. Here we have designed and fabricated a Shark Shed ! 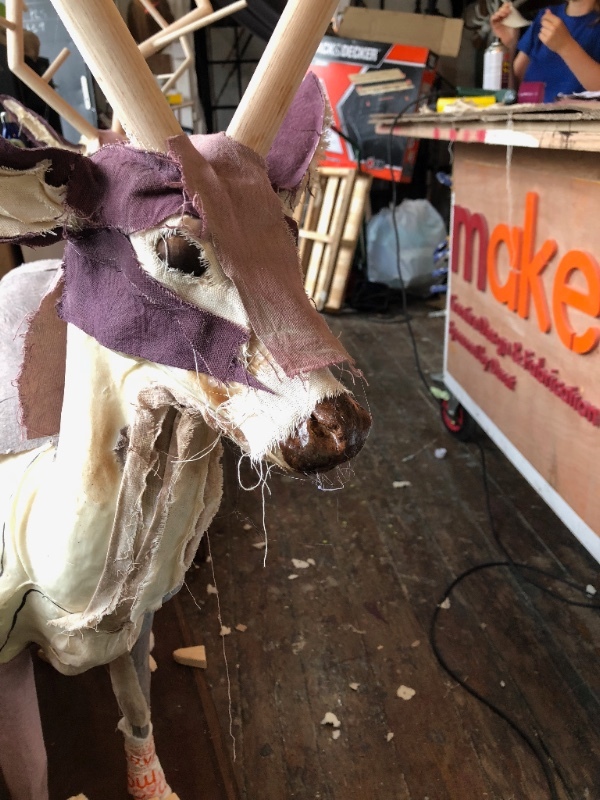 Please browse our website for all the creative services we provide, including hand made props, Vm display, art fabrication, window display management, visual merchandise design and innovative craft. Last night we installed our most recent creative project with wine merchant , Justerni and Brooks, creating a hand made paper sculpture vineyard for their shop window display in Mayfair. Visual merchandise design really does help to gain interest and curiosity from the kerb side! 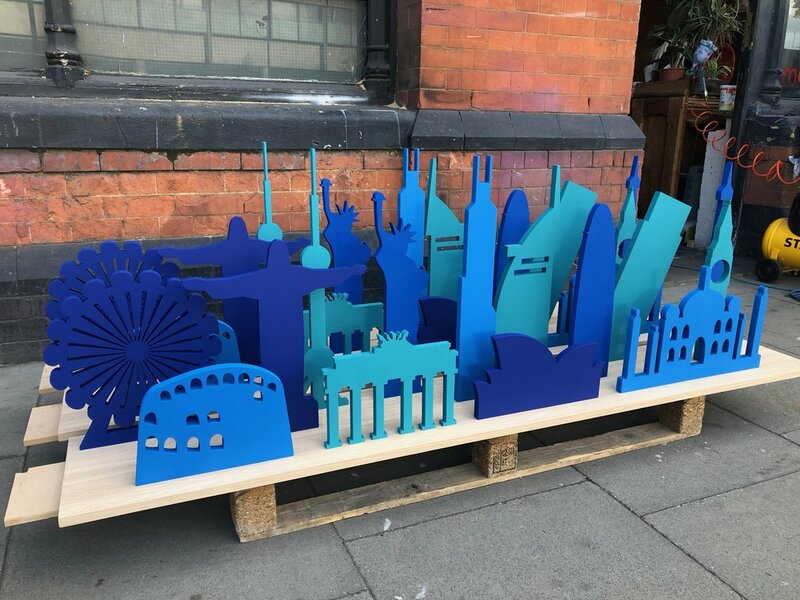 Please browse our website for the creative services we provide, including hand made props, Vm display, art fabrication, window display management, visual merchandise design and innovative craft. 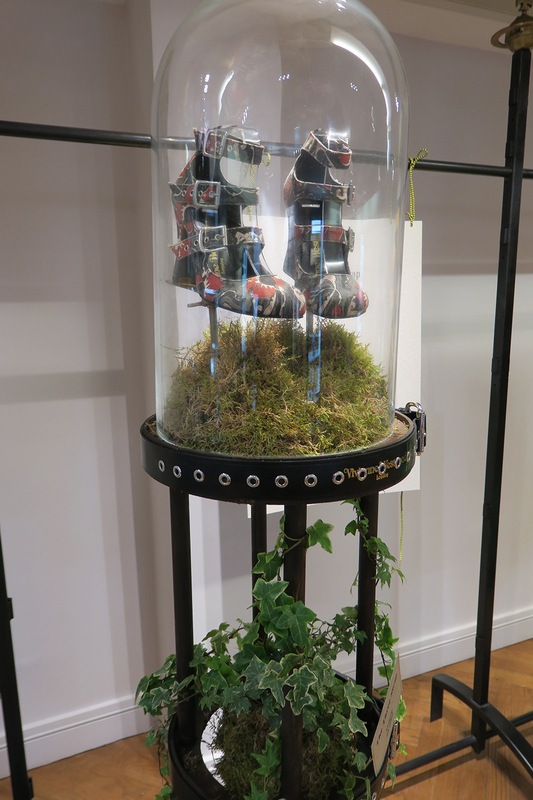 For London Craft week we collaborated with Vivienne Westwood to assist making some bespoke plinths for their exhibition design. 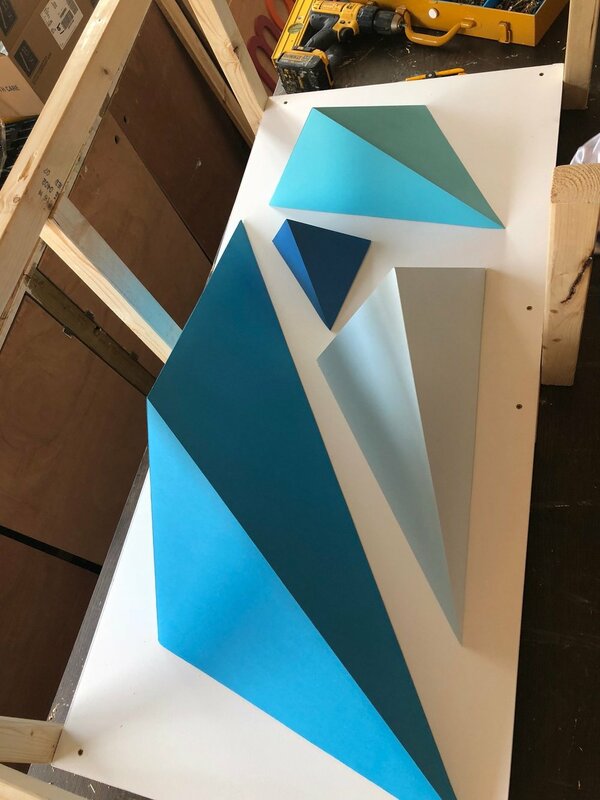 The plinths are shaped to match the story of some of their most iconic shoes, such as the 'Elevated Court' in which Naomi Campbell famously fell whilst wearing on the catwalk. 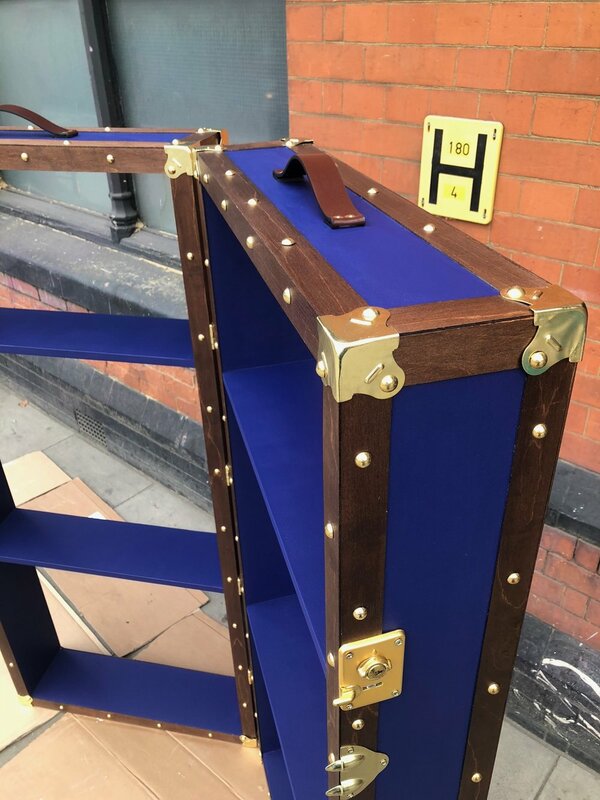 Please browse the rest of the site to see some of our other visual merchandise display projects, bepoke creative services and art fabrication and hand made props. Mount Street Printers in Mayfair wanted a fresh way to show case their printed cards and graphic invites, so we came up with the concept of the party popper bursting with printed work. A classic window display management job, designing, making and delivering right from our studio. SPONSORED BY DURAT, INSPIRED BY LEGER, MADE BY MAKE. LAST WEEK MAKE.IT LONDON EXHIBITED A CREATIVE INTERPRETATION PIECE OF FERNAND LEGER'S ART WORK AT THE VM & DISPLAY SHOW. In case you missed the show... here is what happened! This picture was taken in 1926, it shows Fernand Leger sitting with his work titled Three Women. (The Bancroft Library, University of California, Berkeley). This painting, which Leger came to regard as one of the two or three masterpieces of his career, was the starting point that inspired us to create our sustainable and hand-made stall display this year. Make.it reinterpreted 'Three Women' by creating different layers and by playing with the colours of the material used, transforming this 2D painting into a unique 3D piece. Find more pictures about this project in-situ on our Instagram and start following us to be up-dated on our new exhiting projects coming!